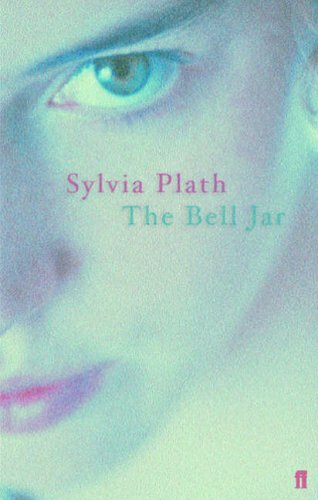 I read Syliva Plath's "The Bell Jar" this week. I picked it up because I had been watching back-episodes of the First Tuesday Book Club (or more specifically, their episode on Cult Reads), and two of the five panelists had said that they considered "The Bell Jar" to be a cult novel. It's not a book that I will keep in my bookshelf and cherish forever. I'm not even sure that it affected me in the way that a cult novel should. So, I can't agree that it's a cult novel, for me. The ‘bell jar’ is how nineteen-year-old Esther describes her insanity. She describes the feeling of being stuck in her bell jar, breathing her own stale air. Then, as she recovers, she considers the bell jar to be hovering above her, ready to descend at any time. It was surprisingly easy to read, although I admit I skimmed over a lot of the paragraphs about her crazy thoughts. It is also very honest, especially now that I am aware that the story is based on Sylvia Plath’s own life. She apparently originally published it under an alias, but it has been published under her own name since she killed herself. The bell jar must have descended again. This would be an ideal novel to have studied in school. There are lots of relevant themes: growing up and coming of age, mental illness, gender issues, sexuality, societal expectations, etc. I don’t think anything ‘triggered’ Esther’s slow slide into madness, as many other websites suggest. Depression is a mental illness - it wasn’t circumstantial, and there probably wasn’t anything Esther could have done differently to stay sane. Her weeks not sleeping, eating or showering were a clear sign of depression - she wasn’t motivated to do anything, when she had previously been a very motivated girl. She is a highly intelligent young woman who is extremely tough on herself. She feels slightly on the outer with everyone, and leans towards more edgy individuals. She has set high standards for herself - they are not placed on her by her single working-class mother. Her expectations of herself are high, and she never seems to live up to herself. It would be interesting for someone to write a book about a girl going through a similar situation now, 50 years after Sylvia Plath wrote The Bell Jar. The mental health system is very different now, and I feel that she would have fallen through the cracks of society, if she were modern. There is no acceptance for asylums any more - it’s all about community treatment. Without the care she got, Esther could have ended up a dual-diagnosis patient, with a drug addiction. To be honest, some of the thoughts that Esther has, are not all that dissimilar from my own. Does that make me depressed or crazy or suicidal? No. Good review. You make this book sound very interesting. I noticed you said you're ready for summer. For myself, living in Texas, cool weather can't come fast enough.